The Expos – The 90’s as we get closer to the existence of the Washington Nationals. When the 1990’s end we are just 5 years from the Nationals. As the 90’s approached, the Expos were certainly a team in flux. The team of the 80’s was pretty much gone. Rogers, Dawson, Cromartie, Carter etc were all retired or on other teams. Tim Raines and Tim Wallach were the new core with the new crop of Larry Walker, Marquis Grissom, and Delino deShields on the cusp. The starting pitching rotation was led by Dennis Martinez with some journeymen filling it out. The owner was almost out the door and the management team was now led by Dave Dombrowski with Buck Rodgers nearing the end of his tenure as manager. The Expos finished 1990 at a respectable 85 – 77 but still finished a distant 3rd and what’s worse was that attendance dropped from 1.7 mil to 1.3. As baseball was beginning to hear whispers of steroid use (mainly courtesy of Jose Canseco) baseball in Montreal was slowly dying. The Expos owner, Mr. Bronfman, put up the team for sale and there were no takers. There was lots of money in Montreal but no one was willing to step-up. The team could not get the local TV stations to broadcast their games let alone pay for them, and the slumping Canadian dollar was putting additional strain on operating costs. The stadium which rocked in the early 80’s was now being blamed for bad atmosphere, poor playing conditions etc. None of us really thought that the end would come but we knew things were tough. The year 1991 started off and finished as a disaster. Dave Dombrowski traded Tim Raines for Jose Calderon, and Buck Rogers was fired after a 20 – 29 start. The team promoted AAA manager Tom Runnels who would prove to be incompetent in every way and the team limped to a 71 – 90 record while attendance failed to reach a million for the first time in a long time. The year 1992 started out on the wrong foot. Dombrowski bolted to the Marlins and took scouting director Gary Hughes with him. The team promoted assistant GM Dan Duquette and he proved to be very good at his job until he departed for the Red Sox after a couple of years. Runnels ran spring training drills dressed as a marine sergeant (no joke) and he would lose his job 37 games into the season. The Expos had a long time employee in their organization who worked as a roving minor league instructor and was never really considered for the big club but Duquette stunned everyone when he named Felipe Alou the new field manager to replace Runnels. The team also acquired starting pitcher Ken Hill and closer John Wetteland who was recently in the news for an arrest. The next crop of young studs were also almost ready to step in. Rondell White, Cliff Floyd and Wil Cordero were just around the corner and the team finished up 89 – 73 and in 2nd place. Attendance was back up to 1.7 million. In the early 90’s the Expos pitching coach was Joe Kerrigan and he was nothing short of a magician. Journeymen pitchers such as Jeff Fassero, Butch Henry, and Ken Hill all thrived under his tutelage. The 1993 team repeated it’s 2nd place finish but won 94 games and happy days were back again at the stadium. In the meantime, major league baseball under the ‘leadership’ of Bud Selig was about to enter into a big fight with the union. What really happened was that small market teams were crumbling under free agency and the sport threatened to become a 2 tiered competition where only a handful of teams could realistically compete. The Expos under Brochu were the poster child of the teams that had no chance going forward. The year 1994 was the last hurrah. Duquette engineered the best trade ever executed by the Expos acquiring Pedro Martinez for a package headlined by Delino deShields. The trade was not received well in Montreal as the casual fans were not familiar with Martinez and the deal was pegged as a salary dump — boy were they all wrong. In 1994, everything fell into place. The pitching staff conducted by the great Joe Kerrigan was magical up and down and including the bullpen led by Wetteland. The lineup with Walker and Grissom. Alou et al were amazing, and Felipe Alou hit all the right buttons as the manager. In August, the Expos were 74 – 40 and in 1st place by 6 games. It was going to be smooth sailing to an easy pennant and a date in the world series except Mr. Selig and the owners had other ideas. They decided to take on Donald Fehr in a nuclear war which wiped out the rest of the season including the World Series and only went back to work with their tails between their legs when advised by a Judge Sotomayor that their lockout was illegal. For the Expos, the lockout was a death penalty. Coming out of the stoppage Brochu ordered GM Kevin Malone to take a hatchet to the roster and before play resumed, Ken Hill, John Wetteland, Larry Walker and Marquis Grissom had new addresses. 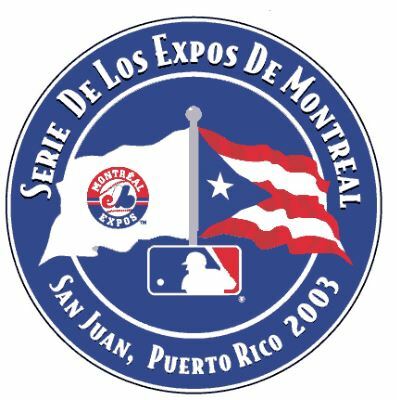 In each trade the Expos got 50 cents on the dollar and the team that was on its way to an easy division win in 94 finished the shortened season at 66 – 78 and in 5th place even though attendance was still at 1.3 mil for an incomplete year. F.P. Santangelo got his call-up in the 1995 season as the team needed players to fill-out the roster along with players like J.J. Thobe, Tavo Alvarez, Curt Schmidt, Yamil Benitez and Chad Fonville who all had their MLB debuts. If you want to check all of those names to see how their careers went, let it be known that only Santangelo put together any semblance of an MLB career. The Expos continued on for several more years and even had a strong 2nd place finish in 1996 with 89 wins, but the end was coming, GM Malone resigned saying that he thought his job was to build teams not tear them apart. Brochu desperately looked for someone to take the team off his hands finally selling it to a consortium where every member owned around 5% of the team. The managing partner was non other than Jeff Loria who by a series of cash calls eventually muscled his way to majority ownership without much of an initial investment. By the time 1998 rolled around, the team was playing a portion of it’s games in Puerto Rico, winning a mere 65 games before an attendance of 900,000. In 1999 only 700,000 bothered to come out to watch the team that won just 68 games. The team was also failing miserable in building the farm system. They picked 6th overall in the 1999 draft and wasted another top pick choosing Josh Girdley in the first round. Girdley would never get past A-ball and was gone after the 2004 season as the Nationals took over. The same fate for the 1998 season as 1st round pick Josh McKinley was picked 11th overall and he never got past AA-ball and was gone after the 2004 season. If you think there is a pattern here, there is one. Donnie Bridges was the Expos 1997 first round pick and he made it as far as Harrisburg Double-A in 2005. John Patterson was chosen in the 1st round by the Expos in 1996 and was a budding star for the Washington Nationals, but you look at all of the wasted draft picks that added to the weak farm system the Nationals inherited plus most of the top prospects (Cliff Lee, Brandon Phillips, Grady Sizemore) of the Expos were traded away in mid-2002 for Bartolo Colon who played all of 17-games for the Expos. Should we fast forward to the year 2000 when the Expos chose Justin Wayne with the 5th overall pick in the 1st round? He was a -1.5 WAR in his brief MLB career. Most of the die-hard Nats fans remember Josh Karp who the Expos chose in the 2001 first round with the 6th overall pick. Karp exited with Bridges from the 2005 Harrisburg team and his career ended. The Expos 1st round pick in 2002 with the 6th overall pick and they chose Clint Everts who was listed as a Nationals top prospect by Baseball America in 2005. He left the Nats farm system after the 2009 season never seeing the Majors. How can talent evaluators be so poor at their jobs? The actual end came after the 2004 season. Bud Selig engineered a franchise trade where John Henry ended up with the Red Sox, Jeff Loria the Marlins and the league with the Montreal franchise which was eventually transferred to Washington DC. Many in Montreal still blame Jeff Loria for the franchise demise and while he certainly belongs in whatever place holds scumbags, Jeff Loria, did not cause Montreal to lose it’s franchise. First and foremost, there was a lack of interest within local money people in investing in baseball, 2nd of all the provincial government refused to help the Expos build a new stadium down town, that was absolutely essential for the team’s survival and lastly there were several other less critical factors which sealed the deal such as the lockout, the lack of a TV contract, the Canadian dollar etc. In the end, it was not anyone’s fault as the franchise died of natural causes. There have been several studies to determine if baseball is still viable in Montreal. Groups led by former player Warren Cromartie have worked hard to revive the dream. The conclusion of the studies is that baseball could thrive in Montreal given certain conditions but to me unless there is a strong willingness by a new Charles Bronfman to lead the effort it’s not gonna work.